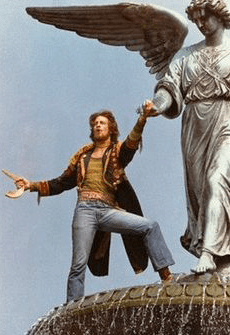 “A voice cries out: ‘In the wilderness prepare the way of the Lord, make straight in the desert a highway for our God.’” (Isaiah 40:3) Do you remember the 1973 film adaption of the off-Broadway music Godspell? It was an enduring memory of my youth. It begins with John the Baptist calling young women and men to give up their “lives” and take up the mantle of Jesus Christ through baptism. With song and dance, they wander throughout New York City, spreading Jesus’ message of love, tolerance, and hope. Advent begins with John. John the Baptist and Jesus were the same age, and their mothers were related, but we don’t know how close the boys were growing up. What we do know is that Mary and Elizabeth spent several months together when they were both pregnant. John was a Jewish prophet, a marginal kind of guy who stepped into our world from the desert, reminding us who we are and who we are called to become. 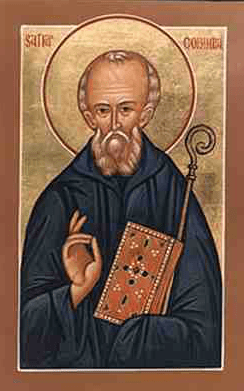 John was a wanderer, persuaded by his call to journey through the wilderness and villages of Israel, urging people to repent of their sins and be baptized. His ragged clothing, food preferences, and fiery speech separated him from the mainstream. Who would have ever thought John would be the one to fulfill the words of Isaiah and herald Jesus’ appearance on the scene? As I read the lectionary passages for this coming Sunday, I pondered how God is calling each one of us to prepare the way of the Lord this Advent. I also realized that my own faith journey has been much like John’s. At the fall Council of Bishops meeting, the newly elected episcopal leaders in the US were invited to share their faith journeys. This is what I shared. Softly and tenderly Jesus is calling, calling for you and for me; See, on the portals he’s waiting and watching, watching for you and for me. O for the wonderful love he has promised, promised for you and for me! Though we have sinned, he has mercy and pardon, pardon for you and for me. Come home, come home; ye who are weary come home; earnestly, tenderly, Jesus is calling, calling, O sinner, come home! Jesus, the peregrino with no place to lay his head, is calling you and me during this season of Advent to prepare the way of the Lord. As you wait and watch for the coming of our Lord, with whom will you share Jesus’ message of grace and hope? Where will your Advent wandering lead you? Very interesting Advent devotional. Also interesting that I leaned so much about your history and your call into the ministry of the UMC. Thank you, Laurie. Your beautifully crafted words and thoughts will now be shared with all of my family and many friends outside of my church who don’t already subscribe to your blog. Although all of your blogs are truly excellent, this one especially touched me by imparting a strong sense of comfort and ease in knowing that ultimately God is in charge. All we must do to bring about God’s perfect world is to follow. Happy wandering Laurie. We are blessed by your sharing.Go safely each day. This reminds me of the beloved song-services in my Baptist upbringing. Oh how Jesus really does restore The Weary. Believe it and you’ll see it. Remember the Emilio Estevez and Martin Sheen movie, “The Way”? The Perigrinos are such normal yet extraordinary people. Like you. Pastor (Bushop) Laurie, I appreciate your stories. They validate me. I am not the Only One. I feel as if my journey was something like yours, Laurie in the fact that I felt God was calling me as a small child. I’ve never really felt like a wanderer, but I have always felt a calling to live the Wesleyan Way. I still struggle with doubt, and that is one of the reasons that your blogs resonate so deeply with me. You help me return to the path with a zeal.